Description Look ma, no head! 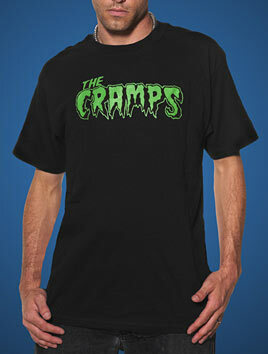 Classic Cramps Logo. Pre-Shrunk Black Cotton. Chest sizes are: YM-36"x 24" long, and Small-36"x 27" long.